At Krókur in Ásahreppur we run a horse breeding farm where we breed horses under the name of Margrétarhof, but the name refers to the breeding of Icelandic Horses the owners conduct on their ranch in Sweden, Margaretehof (www.mhof.se). The goal is to have a competitive breeding with 8-10 excellent mares. 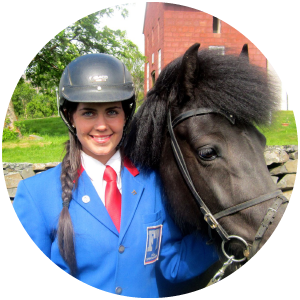 Krókur is also a comprehensive training center, but we offer riding lessons as well as to always have on variety of good and well trained horses for sale. We also offer feeding service for all horses, all year round. New very spacious 43 horses stable and a riding arena, 20 x 50 meters, is at Margrétarhof so the facilities are all exemplary. The owners of Margrétarhof, the Montan family, had long dreamt about acquiring their own place in Iceland when the farm Krókur went on sale. There they found their dream place and have built up the facilities with much grace. The Montan family are Göran og Viveca Montan and their children, Alexandra Montan, Gry Filippa Montan og Beata Moberg. The whole family ride and train horses with great enthusiasm, along with competing among the best both in Sweden and Europe. 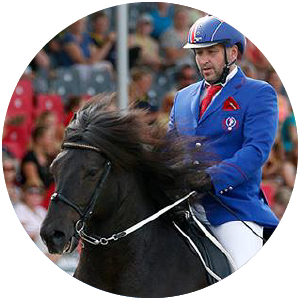 Reynir Örn is a graduated trainer and riding teacher from the Hólar University and teaches both in Iceland and abroad, along with being a sports judge. He worked in Sweden for a long time and has been very successful in competitions. Those last years Reynir has been in the forefront both in 5-gait and T2 with Greifi frá Holtsmúla. The pair were the World Champions in the Five Gait combination and in 2nd place both in 5-gait and T2 ath the 2015 World Championships in Herning. Aðalheiður Anna is a graduated trainer and a riding teacher from the Hólar University and teaches both in Iceland and abroad, along with being the head trainer of the horses at Krókur. 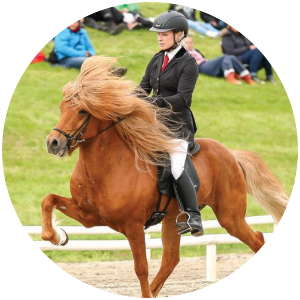 Aðalheiður has been really successful both in competitions and showing young breeding horses for the last few years and has been nominated as the sports woman of Mosfellsbær, for a disciplined and refined riding. Margrétarhof is located at Krókur in Ásahreppur. Click here to see a map.